India is the largest democracy in the world and the Indian elections are the biggest celebration of democracy. Of all the elections, the Panchayat Elections are unique to India and represent the dance of democracy at the very grass roots level. 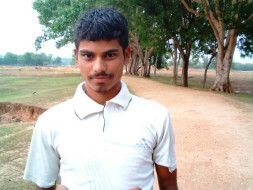 This is the real story of how this dance of democracy turned into the dance of death for young Trilochon Mahto, all of 20 years, a final-year history honors student of Balarampur College from Purulia in West Bengal, who decided to take on the might of the political system of West Bengal. Trilochon’s father is an employee in a shop in the local market and his elder brothers work as daily laborers. Trilochon was the only one from the family who had stepped into college and dreamt to lift his family from the clutches of poverty. 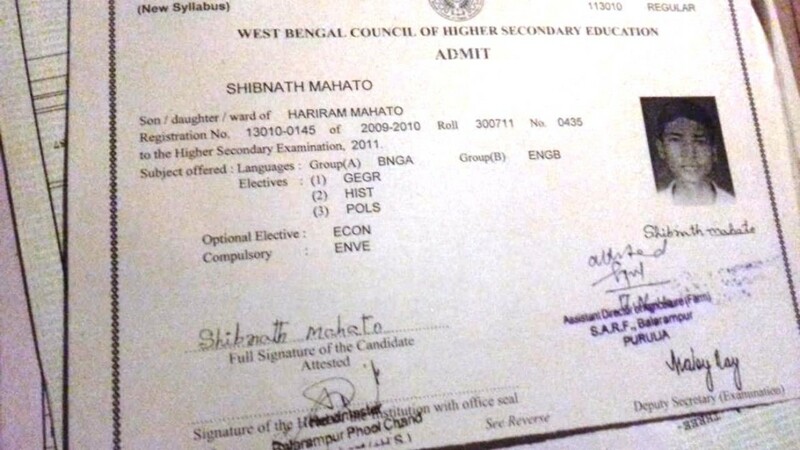 He dreamt of cracking the West Bengal Teacher Eligibility Test (WBTET) and becoming a teacher. However, with education and a burning desire to change things, it wasn’t long before the young man saw that not a single person from his area could pass the WBTET. The reason for this was not lack of ability but the political system. Trilochon understood that the fight against the political system had to take precedence over the fight against unemployment and poverty. Trilochon joined the Bharatiya Janata Party and during the 2018 West Bengal Panchayat polls he worked as the second in lead of the Booth Protection Force of his polling booth. On 14th May, Trilochon single handedly fought with six men during election at the poll booth in the village. 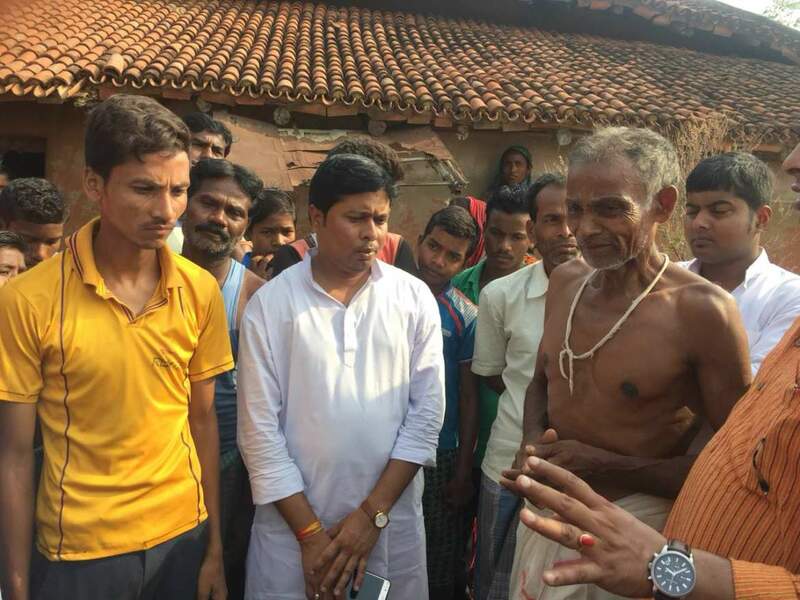 Along with the people of his village Supurdih in Purulia district’s Balarampur block, he resisted the Harmad Bahini and vote loot. As a result, the BJP won in all seven panchayats in Balrampur block of Purulia, a stronghold of the TMC and Trilochon was instrumental in this win. According to news reports, the six persons who Trilochon had fended off at the poll booth swore to kill him. On 29th May, the six accused acted on their threat to kill their nemesis. Trilochon had gone to the market to make photocopies of study materials. He called up his brother around 7pm to say that he would be home soon. However, around 8pm, he called again to inform that he had been abducted by unknown men who were threatening to kill him. On 30th May, his body was found hanging from a tree in nearly a kilometre away from his home. Scrawled on the back and front of his white T-Shirt was a chilling message "BJP politics at only 18 years". The message continued in a note found on a piece of paper left at his feet dangling just inches from the ground added, "Have been trying to do this since the polls, couldn't. Today your life ends." Trilochon was threatened for securing his people’s right to a free vote and his young life, full of hope, was snatched from him leaving behind an utterly devastated poor family whose dreams to a respectable life have been crushed forever. 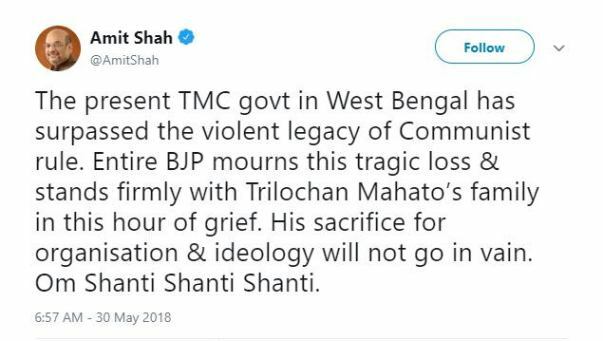 Trilochon’s loss of life can never be compensated but a family whose dreams are now turned to ashes may still be have a chance to financial stability should every citizen who connects to the idea of Bharat and the idea of Sonar Bangla stands up to lend support. The goal of this campaign is to collect a lump sum amount of INR 5 lac for Trilochon’s family. Any collection above the initial goal will be utilized for legal aid of many unnamed grass roots workers in West Bengal who are fighting with their lives to ensure that West Bengal’s right to free and fair voting is not compromised. We are also disbursing the remaining amount net of fee and taxes to Manika Kumar’s bank account. Manika is Dulal’s wife. Dulal is survived by Manika and their 3 daughters. A higher allocation of the funds collected is being disbursed to Dulal’s family due to his three dependent children. As we disburse this money to the families of Trilochon and Dulal, we would like to draw our donors’ attention to the fact that the cycle of violence that was unleashed during the West Bengal Panchayat Elections is continuing unabated. 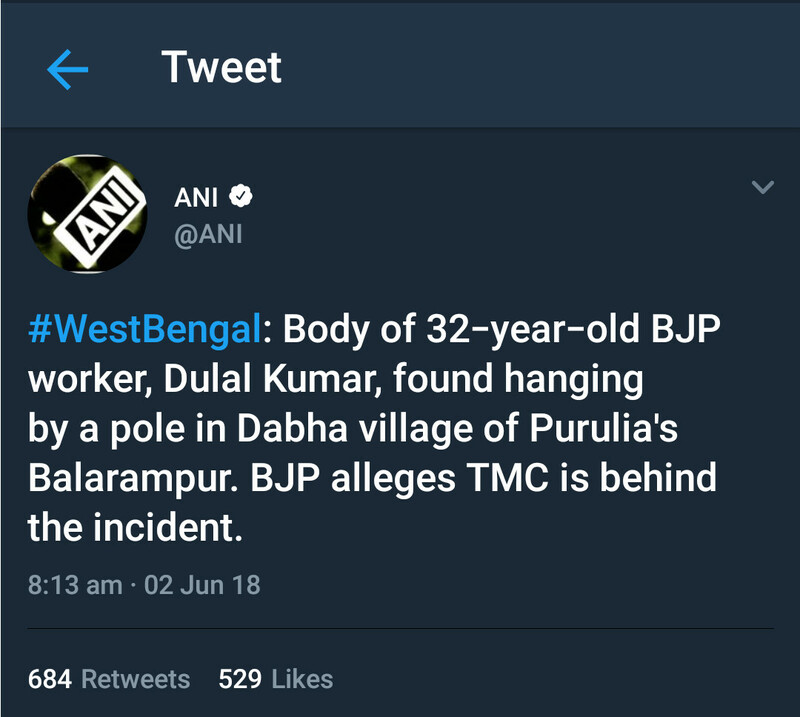 Two BJP workers namely Dhormo Hajra and Shakitpada Sardar were murdered on 2nd July and 28th July respectively (See links below). The only way out of this cycle is through the ballot box and the voters of West Bengal must not forget and vote their way out of this cycle in the 2019 General Elections. Joy Paschim Banga, Joy Bharat. We have been able to raise around INR 200,000 that has been given to Trilochon (INR 82,000) and Dulal's (INR 1,25,000) families. Accordingly, we are lowering the target of this campaign to INR 8,00,000. We will share updates regarding the disbursal soon. Thanks to all who have generously contributed to the campaign. Please share on social media with your friends so that we can raise the INR 800,000 soon.